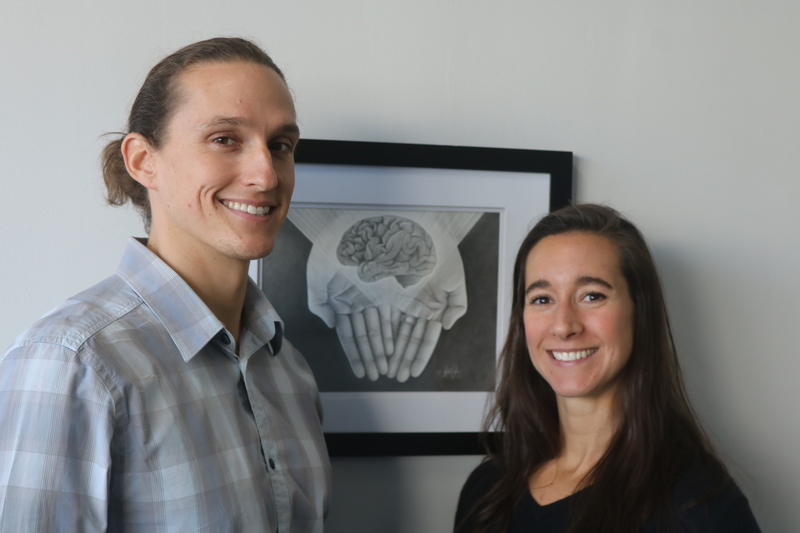 Dr. Daniel Kimbley and his wife Heather recently opened Nexus Family Chiropractic’s new office in Dana Point in early February looking to support the community and promote healthy nervous systems. The Kimbley’s emphasis on congruency and transparency in their practice is obvious upon walking into their office as there is little, if any, division from the waiting room to the examination tables. Both from Indiana, the Kimbley’s have a long history in athletic training and chiropractic health. The couple met in 2010 after Heather graduated with a Bachelor of Arts degree in athletic training from Anderson University. Working as a chiropractic assistant while pursuing her own physical therapy license, Heather began to notice the positive lifestyle impacts of chiropractic health. Daniel, inspired by Heather’s research, quit his job teaching and the young couple moved to Georgia where Daniel attended Life University, one of the most prominent chiropractic schools in the world. “Your body knows more about healing itself than any doctor,” Daniel said, explaining how Nexus is primarily interested in establishing and nurturing natural nervous system health in the active community of Dana Point. Nexus Family Chiropractic is actively accepting clients. They offer adult chiropractic services as well as pre-natal and pediatric evaluations.